First of all I’m not big fan of general TV neither series, but since series is almost all that colleagues at work here in UK talk about, myself and wife started to develop an interest in TV series. Since we got Netflix app on smart TV (nothing fancy, cheaper Samsung version), we do watch, from time to time, the plot of TV series, the first episode to get a gasp of what is like. I know is not enough if you are watching “Breaking Bad” for example as things start to happen for real after a fill episodes. 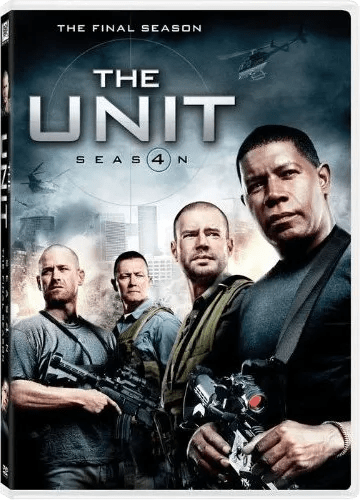 We then started to watch “The Unit”, is a fill weeks now and we are already towards the end, this is the beauty of having Netflix, you can sit down and watch several episodes in one go. But what really grabbed my attention was the episode 10 of the last season series, season #4. The episode call “Misled and Misguided”, the synopsis says “When the team is ordered to raid an anthrax lab in Uzbekistan, they find themselves fighting against their ally, a political official who thinks that high-tech gadgetry is better than field logic…” but what really happen is the plan, the review of the plan, they go and imaginary simulates, over and over again and every-time they do, someone get killed. They access the risks and simulates situation and find that is too risk based on the plan provider that is almost certain that someone, at least one of the team is going to get killed. One of the things that most of us, as tester may find, is gather all the necessary information, clear plan, review it, and go by accessing the risks before it actually happens so it minimizes the almost certain issues along the way. I’m a very peaceful person, not kin on war, guns and military movies etc… However, this episode without a doubt made me associate and think of every-time we set out to work in a project, we have to face similar situation, we are in a tight and under pressure environment that depends very much on us in access the risks, deliver the best possible solution (or mission) and return back home with the feeling of mission accomplished and no man left behind. This is my thoughts for the weekend. HackerNest Toronto Tech Job Fair. May 2017. 06/13/2018 Rogerio da Silva Comments Off on HackerNest Toronto Tech Job Fair. May 2017.